Landing pages pack a powerful punch in today’s digital marketing world. While websites are a must-have, landing pages can often make the difference between gaining leads or stagnating sales. In fact, companies with 10-15 landing pages experience a 55% increase in overall leads. Here are 5 reasons why they work so well for giveaways, new product releases and specific marketing initiatives. 1. Landing pages have a laser-focused goal. The difference between a company’s website and one of its landing pages boils down to goals. A website includes multiple pages mapped together that can provide any information the customer needs. 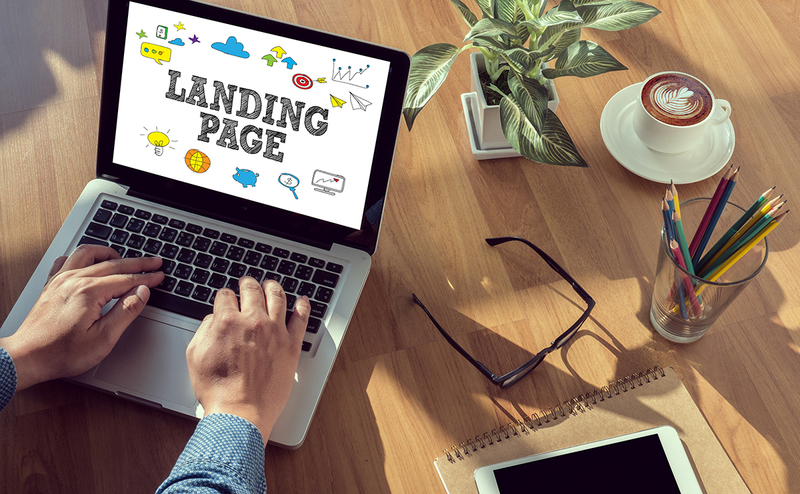 A landing page focuses efforts—and the customer’s marketing journey–by providing in-depth, valuable content and one call-to-action about a specific product, service or promotion. Visitors to the page quickly know what the page is about and what the desired action is. 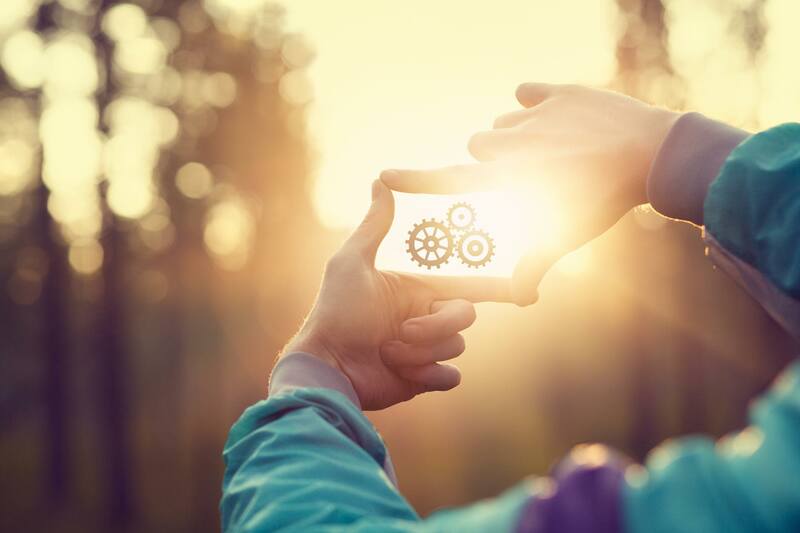 For example, with a new product launch, you could create a landing page replete with videos, imagery, and testimonials from people who have tried the product. The page would provide in-depth knowledge to customers while promoting one call-to-action to purchase the new item. 2. You can increase your overall conversions. Because of its laser focus, landing pages by nature experience more conversions than a traditional website. It’s simply psychology. Too many options can paralyze customers, while fewer options can make choosing easier. A regular website has multiple calls-to-action as customers click through the pages. Because of this, they are more likely to tap out before completing a desired conversion—whether that be an email sign up, a purchase or filling out a contact form. Landing pages ideally offer one clear call-to-action and remove all distractions from the desired action. This may even include eliminating a navigation menu. One company did so on its landing page and increased conversions by 100%. 3. Landing pages help a website rank for targeted keywords. Creating a single website that ranks for multiple keywords can be challenging. Because of this, having quality landing pages creates more opportunities to be found during a web search. The usefulness and comprehensive language of the pages helps Google spot and rank the page for specific keywords that may not register on your overall company website. 4. You can easily and specifically measure the success of a landing page. A regular website includes multiple pages that can make the overall picture more difficult to see. A properly developed landing page, however, focuses on a single objective or promotion, which makes success easier to track. You can look at the analytics and immediately see where traffic is coming from. You can quickly see the conversion rate. You can understand what people are doing or not doing on your landing page. While this information is available for all websites, it’s often simpler to analyze a landing page’s performance rather than looking at comprehensive website analytics that cover multiple pages. 5. You can learn more about your audience. Landing pages offer a simple way to set up different tests to show how customers interact with your content. For example, a heat map can show where people spend time on the page. And A/B tests can allow you to try out different button colors, move the placement of the video on the page, or test differently-worded copy. Such tests provide a greater understanding of how customers are interacting with your page. This valuable information can then be used to optimize your landing pages and your overall website for a better user experience. Plus, companies who cited improved conversion rates say they run more tests on landing pages and utilize more methods to continue growing conversions. Landing pages are extremely effective for businesses, particularly for promoting a new product or service, for specific promotions, or when running a giveaway. Have questions about landing pages that haven’t been addressed? Click here to email Digital Manager Aaron or fill out this form for our web development team today. Learn About Fresh Creative Social Media Services.